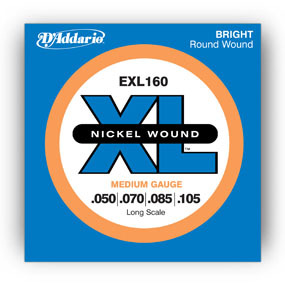 D'addario EXL160 - nickel roundwound strings set for bass guitar. Very balanced and natural sound. Gauges: 050-070-085-105. Regular/long scale.